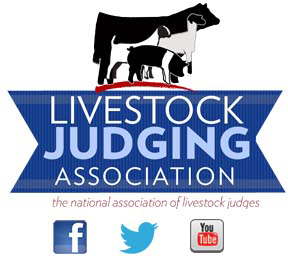 “On show day, the judge should arrive at the show ring and check in with the staff approximately thirty minutes to one hour prior to the event,” says Chris Mullinix, coach of the Butler Community College livestock judging team and familiar judge of livestock shows nationwide. Before the show starts, a judge should instruct his ring stewards on how he would like the classes to be lined up and worked. He should also inform the staff if he will be placing from the top down, or bottom up. These instructions will help the show move efficiently and in an organized way. Once the show begins, the judge should project confidence and professionalism, but not arrogance. Judges should stay focused on their job in the ring and avoid outside distractions such as checking a cell phone during the show, talking with spectators outside the show ring, or spending too much time visiting with the show staff. “Being a good judge usually also means being a good person,” summarizes Daniel. “Take your judging job seriously. Be honest. Be cordial. Be humble. Nothing is more impressive to the crowd than humble confidence or is as big a turnoff as arrogance,” says Daniel.